Fig. 3.69 Primary laryngeal mucosal malignant melanoma. This hypercellular proliferation shows an admixture of epithelioid and spindle-shaped cells. The epithelioid cells have a solid and nested growth, while the spindle-shaped component has a fascicular growth pattern. Fig. 3.69 Primary laryngeal mucosal malignant melanoma. This hypercellular proliferation shows an admixture of epithelioid and spindle-shaped cells. The epithelioid cells have a solid and nested growth, while the spindle-shaped component has a fascicular growth pattern. The majority of conjunctival melanomas arise within primary acquired melanosis with atypia. Development of a melanoma in a pre-existing naevus or de novo is possible, but uncommon 44, 61 . In malignant melanoma clusters of atypical melanocytes are present in the stroma (Figs. 10.14, 10.15). The melanocytes are most frequently epithelioid, but can also be spindle-shaped or bizarre. The intraepithelial component shows large, atypical melanocytes, often without ascending cells. This differs from skin melanocytic lesions, where ascending melanocytes can be very helpful in diagnosing a malignant melanoma. These cytological characteristics do not seem to influence prognosis. Depth of the tumour, however, does have prognostic value thickness less than 1.5 mm means a low risk of metastatic disease. Ultraviolet Light and Skin Cancer Ultraviolet Light and Skin Cancer It is important to guard against skin cancer. For example, apply sunscreen before prolonged exposure to sunlight. 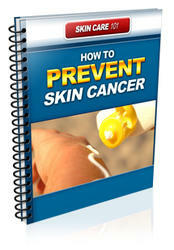 It is important to guard against skin cancer. For example, apply sunscreen before prolonged exposure to sunlight. main cause of mutations that trigger skin cancer. Skin cancer is the most common type of cancer in the United States. Each year, about 1 million Americans get skin cancer. DNA Repair Enzymes and Skin Cancer Treatments Some organisms do not get skin cancer. One reason is that these organisms have a DNA repair enzyme called photolyase Some researchers want to try to use gene therapy to insert the gene for photolyase in people that are at high risk for skin cancer. Gene therapy is a technique in which a defective gene is replaced with a normal version of the gene. Ongoing studies of DNA repair enzymes may help develop gene therapy and other types of cancer treatments in humans. Levodopa is an intermediary metabolite in the synthesis of melanin. For this reason, there has been long-standing concern that this medication might potentially promote the growth of melanoma. While melanoma obviously occurs in patients on levodopa therapy, there is no evidence that the incidence differs from that in the general population (96-99), other than that there seems to be a higher risk for melanoma in patients with PD, even without levodopa treatment (100). In studies of patients with melanoma, levodopa exposure is rare (101). Thus, although the package insert warns that levodopa should not be used in patients with melanoma or suspicious skin lesions (102-105), there is no clinical evidence to support this admonition (106-109). Nonetheless, in patients with PD and a history of melanoma, it would seem prudent to both defer levodopa therapy until other medications prove inadequate and to monitor closely for recurrent melanoma. B16 F10 murine melanoma cells possess a highly metastatic potency when injected to mice. Tumor explants (1-2 mm3) layered on semi-solid culture medium were covered with 0.7 cm2 CU or AN69 pieces and cultured for 14 days. Proliferation, adhesion, and migration of sorting cells were assessed from the cell layer developed around each explant. Surface area and cell counts after trypsin-EDTA detachment kinetics can give thus a good evaluation of cell behavior 31 . Proliferation and migration of melanoma cells were significantly reduced on CU as compared to AN69. Onto CU, cells appeared to secrete a thick extracellular matrix and to be much more adherent than onto AN69. Moreover, on CU, cells were highly charged in melanin while they remained mostly un-colored onto AN69. These observations suggest cell differentiation on CU (Figure 3.9). The diagnosis of a SpCC is based on the demonstration of an invasive or in situ SCC and a malignant spindle cell component. However, when a SCC component cannot be demonstrated, the diagnosis is more difficult, and the SpCC must be distinguished from a number of benign and malignant processes, such as spindle cell sarcomas, nodular fasciitis, inflammatory myofibroblastic tumour and malignant melanoma. Negative reaction for S-100 protein and HMB45 helps to distinguish SpCCs from malignant melanomas 96 . Differential diagnosis includes malignant lymphoma, in particular diffuse large B-cell lymphoma, as well as malignant melanoma and rhabdomyosarcoma. Differentiation is achieved by the use of appropriate im-munohistochemical staining. The vast majority of LECs are positive for cytokeratin and negative for leukocyte common antigen as well as other lymphocyte antigens. Cytokeratin positivity has been reported in rare lymphomas 123 , but leukocyte common antigen positivity in the tumour cells of LECs has not yet been reported. A negative reaction to S-100, HMB-45 and melan-A helps to differentiate LECs from malignant melanomas. The two main differential diagnoses of SNUC are small cell (neuroendocrine) carcinoma (SCC) and high-grade olfactory neuroblastoma (ONB). All three entities may share some clinical and light microscopic features. However, SNUC and SCC show a marked immunoreactivity for cytokeratins that is not seen in ONB, and SNUC lacks the neuroendocrine immuno-reactivity seen in SCC and ONB. Most lesions categorised in the past as grade IV ONB are now considered to be either SNUC or SCC. This is important because SNUC and SCC have a worse prognosis than ONB. In addition, SNUC needs to be distinguished from other primary sinonasal tumours, such as solid adenoid cystic carcinoma, microcytic malignant melanoma, cylindrical cell carcinoma, primary sinonasal nasopharyn-geal-type undifferentiated carcinoma, lymphoma and others (Table 2.2). The fact that macrophages predominate in this stage is important because they also produce TNF (tumor necrosis factor), growth factors, enzymes, and other related compounds. In normal wound healing, these compounds help kill pathogens, degrade damaged tissue, and stimulate the growth of vascular (endothelial) cells required for normal angiogenesis. In the case of cancer, however, these compounds can stimulate cancer cell proliferation, angiogenesis, invasion, and metastasis. Indeed, one study reported an increased risk of melanoma metastasis in mice after an intense inflammatory reaction.36 In the next chapter, we discuss ways to inhibit the angiogenic effects of TNF and other growth factors produced by macrophages. Structural alterations of FGFRs may play a role in human tumorigenesis. FGFR1 is highly expressed in the brain (41) but the shorter (2 Ig-domain) form of FGFR1 is more abundant in some CNS glioblastomas (42). Anti-sense targeted interruption of FGFR1 reduces malignant melanoma cell proliferation and differentiation (43). FGFR2 exon switching has been observed to accompany prostate cell transformation (44). Between March 1996 and July 2001, we performed intraoperative MRI in 330 patients. Histopathologic examination revealed pituitary adenoma in 61, craniopharyngioma in 26, glioma in 106, cavernoma in 18, and other diagnoses in 54 patients (including chordoma, gangliocytoma, germinoma, lymphoma, melanoma, meningioma, metastasis, neurocytoma, pinealoma, primitive neu-roectodermal tumor, and subependymoma). For remaining 65 cases, either resective or disconnective epilepsy surgery was carried out for nonlesional conditions (n 40), or procedures were performed in which intraoperative MRI was used as an online control during catheter or electrode placements (n 25). Among the 330 procedures, there were 240 craniotomies, 59 transsphenoidal approaches, and 31 burr hole procedures. The ability to selectively depress NK activity by administration of anti-asialo GM1 in vivo has provided a good opportunity to evaluate in detail the role of NK cells in control of metastases. Gorelik, et al. 49 showed that mice treated with this antiserum developed increased numbers of pulmonary metastases after intravenous inoculation of either B16 melanoma or Lewis lung carcinoma cells. In addition, the treated mice also developed many metastases in the liver, an organ, which previously showed completely resistance to the metastatic spread of these tumour lines. Feature of sinonasal schwannomas is the lack of tumour encapsulation that determines an apparently infiltra-tive growth pattern 36, 108 . Immunohistochemically, sinonasal schwannoma is intensely reactive for S-100 protein 108 . The differential diagnosis includes other spindle cell lesions of the sinonasal mucosa, like juvenile angiofibroma, solitary fibrous tumour and leiomyoma. Particular care should be taken when evaluating cellular schwannomas with a predominance of Antoni type A areas, which should not be confused with malignant spindle cell neoplasms, like fibrosarcoma, leiomyosar-coma, malignant peripheral nerve sheath tumour, and spindle cell melanoma. Classification of disease states using cDNA microarrays, which provide expression measurements for thousands of genes simultaneously, has become a key application of expression data and has had many successes including the following cancer examples rhabdomyosarcoma 18 , colon cancer 19 , lymphoma 20 , breast cancer 21 , and melanoma 16 . Classification based on gene expression data can separate samples into different classes using a variety of methods such as neighborhood analysis with p-value with random permutation 22 , TNoM score 23 , and neural network 24 . Postintravasation, tumor cells migrate to the sites of metastasis. Clinical and experimental observations suggest that metastatic destinations are selective for specific tissues159 for example, among others, breast and prostate cancers preferentially metastasize to bone,160 colorectal cancer to the liver,161 and skin cancer to the lung.162 Hart and Fidler examined the organ biases of B16 melanoma metastases. In the whole animal, B16 cells spontaneously form metastases within the lung and ovaries. The investigators intravenously injected B16 cells into mice bearing syngeneic pulmonary, ovarian, and renal subcutaneous implants.168 Hart and Fidler found that B16 tumors do not develop randomly rather, they formed selectively within the implanted lung and ovarian tissue, and not within the kidney tissue. Thus, it would seem that some special interaction between circulating B16 cells and the pulmonary and ovarian tissue dictates the metastatic bias. The IPD test produces rapid results with low doses of UVA. However the response is highly variable and difficult to reproduce accurately. Its clinical significance is low because the action spectrum for IPD differs widely from action spectra for erythema and tanning 3,4,21 , nonmelanoma skin cancer 5 , and pho-toelastosis 6 . 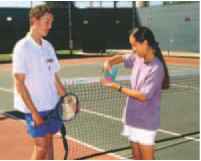 Further, the test is performed using human subjects with skin types III and IV, who are less sun sensitive than types I and II and are not the individuals who have the greatest need for sun protection. (The sun-reactive skin types were characterized by Fitzpatrick 22 .) In addition, the low UVA doses involved may conceal the effects of sunlight on the photostability of the product (see later). CTLA.4 binding to its ligand, CD28, delivers an inhibitory signal to T cells.98,99 Removal of this potential inhibition is the rationale for administering a blocking anti-CTLA.4 monoclonal antibody in combination with tumor vaccines. Phan et al. conducted a clinical trial involving patients with metastatic melanoma.100 Patients were treated systemically Hodi et al. also tested the anti-CTLA.4 antibody in melanoma and ovarian cancer patients, observing no objective tumor regressions.101 However, this was a single-dose trial and was not combined with a tumor vaccine. Tumor biopsies from three of the patients obtained after antibody administration revealed extensive tumor necrosis, providing compelling evidence that the antibody has the potential to produce a clinical effect. Interestingly, the tumor necrosis was only observed in patients who had previously been immunized with a GM-CSF-modified vaccine. Blocking tumor-specific B7-H1 molecules from binding to their ligands on activated T cells improved the efficacy of antitumor T cells in preclinical models,139,140 suggesting a therapeutic approach. IL-2 at high doses produces significant clinical responses in some cancers and is being tested in combination with tumor vaccines.59,60 The B7-H1-mediated negative effect on T-cell function is overcome in the presence of exogenous IL-2.64 A very low dose IL-2 regimen has been shown to result in the prolonged persistence of transferred T cells in melanoma patients.65 This dose of IL-2 is sufficient to saturate IL-2 receptors in vivo.141 Therefore an immune augmenting effect of IL-2 can potentially be achieved with minimal toxicity. Poorly differentiated plasmacytoma must be differentiated from other lymphoid neoplasms and from other malignant tumours, such as malignant melanoma and carcinoma. This is achieved by appropriate immunohis-tochemical analysis plasmacytoma, in contrast to lymphoma, does not express CD45 and immature B- and T-cell markers 351 . It also does not express antigens characteristic of malignant melanoma (i.e. S-100 protein, HMB-45 and melan-A), carcinoma (cytokeratins) and neuroendocrine neoplasms (i.e. synaptophysin, chromogranin). Primary malignant melanoma (MM) of the larynx is extremely rare less than 60 cases have been described in the literature. They represent 3.6 to 7.4 of all mucosal melanomas of the head and neck 6, 185, 212, 379 . The treatment of choice is complete surgical excision. The prognosis of primary laryngeal MM is poor, similar to primary mucosal malignant melanoma in general, with an average survival of less than 3.5 years 260, 379 . Metastases to the larynx from distant primary tumours are uncommon, accounting for less than 0.5 of all laryngeal neoplasms. Metastases to the hypo-pharynx and trachea are even less common. The most common source is malignant melanoma (Fig. 7.15), followed by renal cell carcinoma. Other tumours with proven laryngeal metastases include cancer of the breast, lung, prostate, colon, stomach and ovary 24, 74, 105, 154, 267, 296 . The rare occurrence of metastases to the larynx seems to be related to the terminal location of this organ in the lymphatic and vascular circulation. Laryngeal metastases are most commonly located in the supraglottic and subglottic regions, presumably due to their rich vascular supply 24, 133 . They can be divided into those located in the soft tissue (metastases from melanoma and renal cell carcinoma) and those located primarily in the marrow spaces of the ossified laryngeal cartilage (metastases from breast, prostate, and lung cancer). Estimates of the global cancer burden have been made for 1975, 1980, 1985, and 2000.18 These estimates include all forms of cancer except nonmelanoma skin cancer, poorly registered on incidence statistics and infrequently fatal. In 2000, cancer deaths among men totaled 4.7 million, and an estimated 5.3 million new cases were diagnosed, an increase of 1.5 million from 1985, lung cancer being the most common form of cancer in men, with an estimated 902,000 new cases in 2000. The estimated number of lung cancer cases has increased by 35 over the 5-year period covered by these estimates. Other cancers showing notable increases are colorectal, prostate, bladder, melanoma, and lymphoma, particularly non-Hodgkin's lymphoma. Some increases may be due to better surveillance or impaired precision in the estimation of rates but likely have a real etiologic component. Immunohistochemi-cal algorithm for identifying malignant pleomorphic tumors including melanoma, liposarcoma, spindle cell squamous cell carcinoma (SCC), leiomyosarcoma, rhabdomyosarcoma, malignant fibrous histiocytoma (MFH), and malignant peripheral nerve tumors (MPNST). FIGURE 12.11. Immunohistochemi-cal algorithm for identifying malignant pleomorphic tumors including melanoma, liposarcoma, spindle cell squamous cell carcinoma (SCC), leiomyosarcoma, rhabdomyosarcoma, malignant fibrous histiocytoma (MFH), and malignant peripheral nerve tumors (MPNST). The incidence of lymphomas, skin cancer, and Kaposi's sarcoma does appear to be significantly increased in posttransplant recipients. 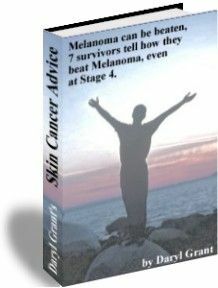 Skin Cancer Skin cancer occurs at a frequency up to twenty times greater in posttransplant recipients than in the general population. While basal cell carcinoma is more common in the general population, squamous cell carcinoma seems to occur more frequently in transplant recipients. In addition, melanoma occurs more frequently in transplant recipients. In general, whatever the type of skin malignancy that occurs, it tends to take a more aggressive course in the transplant recipient than in the nonimmunocompromised individual. Early detection and aggressive management should be incorporated in all long-term follow-up of transplant recipients. Sun exposure should be dissuaded and regular complete skin evaluations should be employed. In primary cultures of melanoma cells, binding of a-MSH to its receptor stimulates the activation of adenylate cyclase and the phosphorylation of a 34-kDa molecule. This step is blocked by phorbolesters, suggesting that protein kinase C might be involved in the signal transduction of a-MSH. To the mitogenic signaling of the nAChR, the m3AChR has an anti-proliferative function in lung cancer cells, and furthermore increases E-cadherin-mediated adhesion 173 . However, acetylcholine is also expressed in lung cancers and functions as an autocrine growth factor 174 . Thus, if the results are validated that the acetylcholine receptors subtypes have opposite effects on lung cancer cell proliferation, the balanced signaling seems to privilege the pro-mitogenic function of the nicotinic receptors. In contrast, the m3AChR promotes the growth of colon cancer cells 175 . Interestingly, the m3AChR is expressed in normal prostate tissue and well-differentiated tumors, whereas less-differentiated tumors show a loss of m3AChR expression 176 , and the expression of mAChR in melanoma plays a role in the tumor progression towards infiltration and metastasis formation 172 . Cells in mice. , In the other two, rectal administration of 45 mg kg two times per day of a polyenzyme formula (WOBE-MUGOS) reduced metastasis and increased survival of mice with transplanted melanoma and lung cancer cells.210,221 Doses were rectally given to improve absorption. The equivalent human dose is roughly 870 milligrams per day. Non-ionizing radiation from the lower-frequency range of the electromagnetic spectrum includes ultraviolet (UV) light (wavelength, 10-400 nm). Wavelengths below 200 nm do not pose a hazard as they are absorbed by air, and atmospheric ozone provides protection from wavelengths below 290 nm. Wavelengths of 280 to 320 nm (UV-B) have been associated with skin cancer (these effects are enhanced by UV-A which has wavelengths of 320-400 nm). Although minimal levels are observed from fluorescent lighting or from units where UV is used to limit bacterial contamination, care must be taken in neonatal units where such lights are used in the treatment of jaundice. Linkage can be made to the Saskatchewan cancer registry, which is required to record all persons diagnosed with cancer, including non-melanoma skin cancers and in situ cancers, and suspected as well as confirmed cancers. A lag time of 6 months exists from date of diagnosis to availability of the data. The prognosis for oral melanoma is poor with an overall median survival of about 2 years and 5-year survival of less than 20 122,170,1085 . Stage is a predictor of survival but even localized tumours (stage I) show a 5-year survival of less than 50 . Depth of invasion (Breslow thickness and Clark's levels) is of limited value in oral lesions. This is due to lack of adequate studies and the fact that most oral melanomas are deeper than 4 mm at presentation 1085,1843,2080 . A mixed group of cancers with a high metastatic potential. The reason the primary site remains undetected may be due to spontaneous regression (well recognized in melanoma) or mucosal sloughing, but in most cases is probably due to the unusual metastatic potential of the tumour. The pattern of metastatic disease is often very different from cases where the primary site is known e.g. lung cancer causes bone metastases 10 times more often when the primary site is known than when the lung cancer is occult. Appearances of adenocarcinoma and squamous carcinoma are similar irrespective of their site of origin and light microscopy rarely provides further clues. The diagnosis of undifferentiated malignancy should be made with caution as a high proportion will turn out to be lymphomas and further staining is essential. 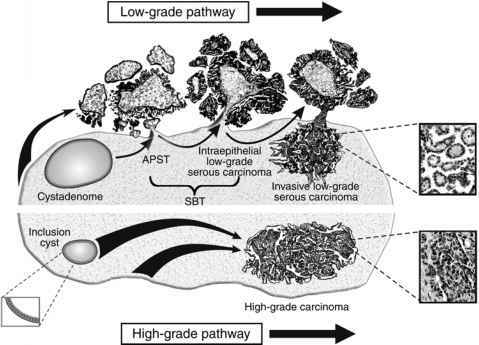 Poorly differentiated carcinoma may also be confused with seminoma, amelanotic melanoma, and epidermal carcinoma. Familial atypical multiple mole melanoma (FAMMM) is associated with germline mutations in the p16 tumour suppressor gene on 9p. Affected individuals have an increased risk of developing both melanoma and pancreatic carcinoma 601, 1127, 1285, 2097 . The lifetime risk for developing pancreatic carcinoma is about 10 . In 14 in-vitro studies, emodin inhibited proliferation of a variety of cancer cell lines, usually at concentrations of 2 to 76 M, often below 40 mM.117-121 Only three animal antitumor studies have been conducted in these, emodin inhibited tumor growth and or increased the survival of mice with transplanted leukemia, melanoma, and breast cancer cells.122,123,124 In one, emodin acted synergistically with the chemotherapy drug Taxol, besides inhibiting tumor growth on its own. In-vitro studies have also reported synergistic effects with chemotherapy drugs (see Chapter 23). Which are the pacemaker cells of the gastrointestinal tract. This association suggests that these cells are the common origin of GISTs.4 The expression of CD 117 is the most specific marker for GIST.30 However, it is not pathognomonic, as other malignant neoplasms, including malignant melanoma, seminoma, sarcoma, and some leukemias, may also express CD 117.6 Fortunately, the distinction between GISTs and other tumors that express CD 117 can be made histologically. Approximately 70 to 80 of GISTs also express CD34, which is a hemopoietic progenitor cell antigen. 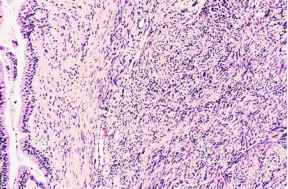 GIST may also express smooth muscle antigen in approximately one-third of cases, but it is rarely reactive to desmin, present in true smooth muscle tumors, and S-100 immunostaining, present in schwannoma. Malignant melanoma may also metastasise to the pelvic viscera or subcutaneous soft tissues. Typically lesions are of intermediate or high signal on T1-weighted images. The high signal is due to the paramagnetic effect of intra-lesional melanin. Lesions may be of mixed high and intermediate signal on T2-weighted images. Large lesions may undergo central necrosis. Acute blood loss in gastrointestinal cancers is less common than chronic bleeding resulting in iron deficiency. It can occur as the presenting feature or in the terminal phase of illness in the heavily pre-treated patient. Haemorrhage occurs most often from the primary tumour or as a result of its local extension. Previous chemotherapy and clotting factor deficiency, in the case of hepatic impairment, may exacerbate bleeding. Endoluminal metastases are a rare cause of acute blood loss and metastases to the small bowel can occur in malignant melanoma. Recently, it has been shown by Yang et al. 9 that angiostatin decreases cell migration and VEGF to pigment epithelium-derived factor mRNA ratio in vitro and in a murine ocular melanoma model. 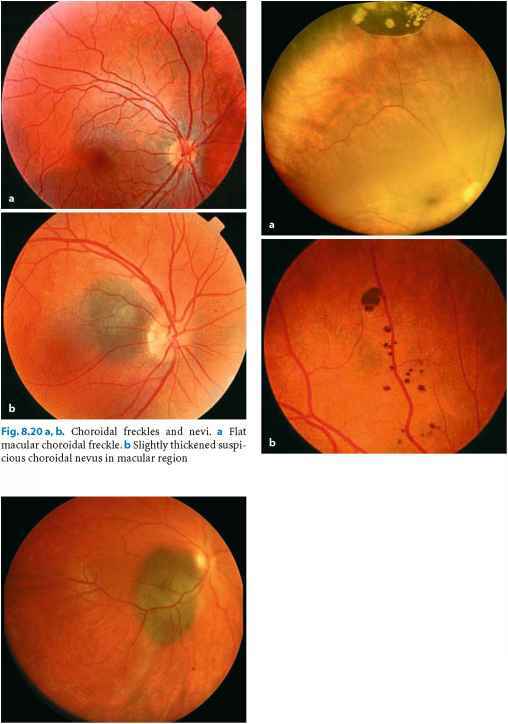 Angiostatin inhibits the migration of melanoma cells in vitro and decreased hepatic micrometastases in a mouse model of uveal melanoma within the melanoma micrometastases it increases the pigment epithelium-derived factor mRNA which might be judged as an inducer of a cellular redifferentiation process.